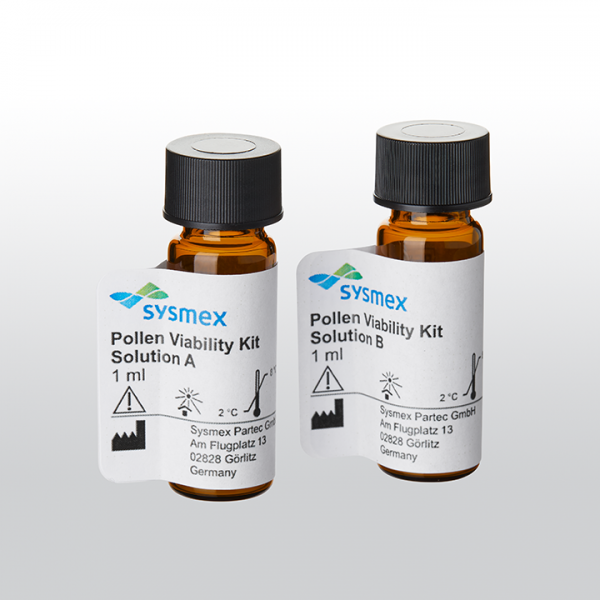 Reagent kit for fluorescent staining of pollen and microspores for subsequent analysis on a flow cytometer. Includes ready-to-use solutions for counting and viability testing (differentiation between living and dead cells). The reagent has been created specifically for selected configurations of the Sysmex CyFlow Cube and CyFlow Space flow cytometers.